For the second year running, Kewtech has awarded us the ‘best electrical training centre’, this is a great achievement for us and we really do believe that the facilities we have are second to none in the industry. We are always trying to improve our facilities and training experience that we offer to customers who come to train with us and it’s great to see this being rewarded. The reason we differ from other training providers is due to our strong focus on real-life scenario practical training. We have built real life building scenarios, which has a vast range of electrical circuits and consumer units to work on. 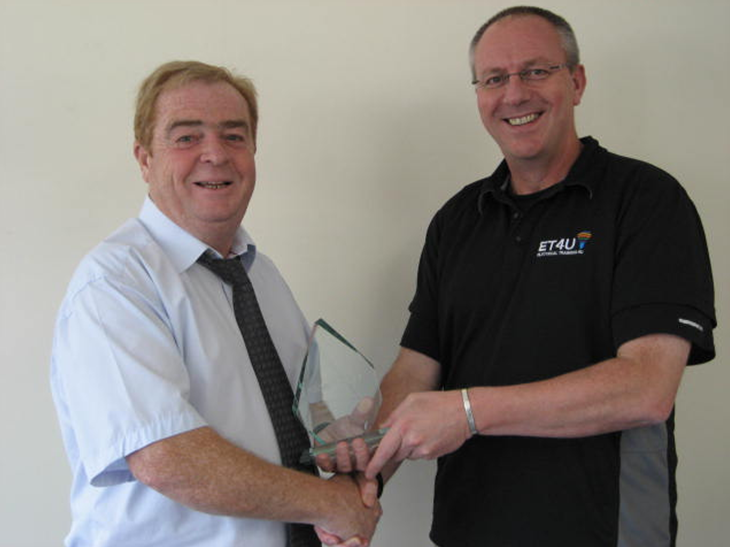 The award was presented by Phil Smith, the managing director of Kewtech. We look to continue winning awards for our facilities and our training in the years to come. Find out more about our centre by taking a looking at our brand new practical electrical training centre refurbishment!